Everyone loves the taste of sweet. It’s why we can’t get enough of sugar. So, in this segment, we compare two popular sugar alternatives. Stevia vs. Aspartame. What are they? How do they differ from one another? And are they safe? These are some questions we answer below. Now it’s time to pit them head to head. When looking at the difference between stevia and aspartame, we start at the very beginning. That is, where they come from, or their source. And you’ll quickly notice that these two are very distinct from one another. In fact, worlds apart. Stevia s is extracted from a Stevia plant’s leaves. This plant is mostly found in the South America and Japan. 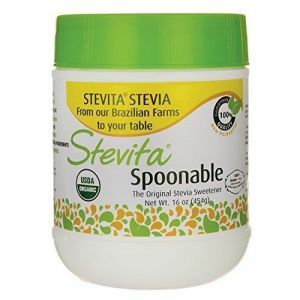 Stevia is then made by isolating and concentrating some of the stevia leaves’ sweet extract. In its natural form, you can just grind up the leaves and use them as you do granulated sugar. This is one reason why some people plant their own stevia in their backyards. As you would expect, as it got more popular, especially as an alternative to sugar, it’s now produced commercially. You’ll find packets of stevia, often sold in powder form in groceries, supermarkets and Amazon.com. Artificially, stevia is made by refining process. This is what you get in the packets or in extract form. When choosing which brand or packs to buy, avoid the ones that are loaded with additives. Some even add artificial sweeteners with it to enhance it. On the other hand, Aspartame is man-made. That is, it is an artificial sweetener that was created by mixing a number of compounds together. It is obtained by laboratory combination of the aspartic and phenylalanine amino acids. There are commonly found in protein foods such as eggs and meat. The process of combining these two amino acids is more involving and to obtain a sweeter Aspartame, collect quantities must be used. At this point you’re probably wondering about stevia. To help clarify things, here’s a video that shows stevia leaves that have been grown and used to sweeten tea. You’ll notice in the video that the leaves are cleaned, then grinded using a coffee grinder. The powder is then stored as you would sugar. It’s also used similarly. In their commercial forms, stevia and aspartame come in packets very similar to sugar. All you need to do is rip the packet open and pour them to your drink. You can likewise use a spoon for measurement. Stevia being naturally derived, contains no calories, sugars and carbohydrates. Aspartame is industrially made by combination of 40% aspartic acid with 10 % methanol and 50% phenylalanine by volume. With both Aspartic and Phenylalanine being the amino acid source, the Methanol helps in catalytic combination of the two aminos. They are both alternatives to sugar. They are effective in giving you that sweetness found in white sugar. The biggest advantage over sugar that stevia has is that it is low in calories. It’s much sweeter than regular sugar so you only need to use very little. Depending on the type of stevia you use, it may not cause blood sugar spikes. However, some types have shown to result in increases similar to that of sugar. Being naturally derived, stevia can be good for diabetic individual. Also some research show that stevia can be used to lower both blood pressure and sugar levels. It is also safer for young children and pregnant women. It also contains no calories. And can be used for baking. 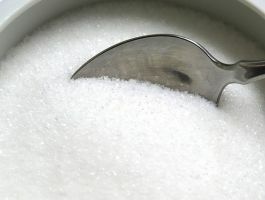 Aspartame, which is found in NutraSweet and Equal brands, was created to be low in calories as well as not spike blood sugar spike that regular white sugar does. Though there are myths claiming that Aspartame causes cancer, FDA research shows no truth in this claim. Aspartame is also approved for consumption by both young children and pregnant women. Report shows Aspartame as a safe nonnutritive sweetener when one maintains the prescribed level of consumption. With stevia being sold as dietary supplement, the FDA has no full control over it. And while Stevia does not contain sugar and calories, its consumption contributes to tooth decay problems. Aspartame meanwhile has severe side effects with most consumers experiencing change of mood, general dizziness, skin reaction and mere up to severe headache after consumption. It is also not used for baking process. While Stevia is considered to have no sugars, studies show that its consumption improves insulin sensitivity. This insulin sensitivity does not give any benefit to diabetes problem to human beings. Also, the Stevia leaf extract always has a bitter taste. This means that to achieve a sweeter stevia, the extract must be blended with other artificial sugars and sweeteners. 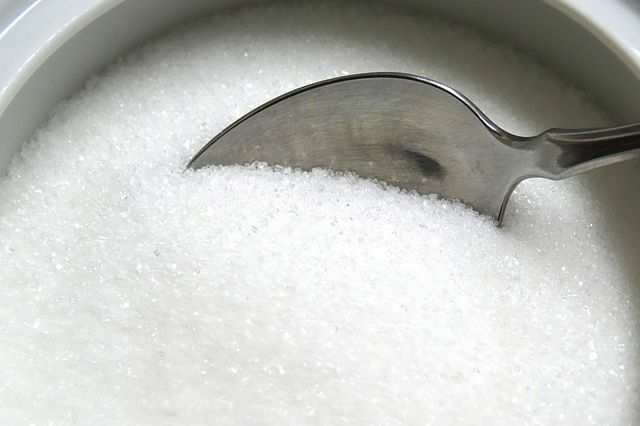 Some of the blending sweeteners used include maltodextrin, sucrose and dextrose. All of which are ingredients that aren’t good for us. With the above additives, stevia products are capable of increasing the consumers’ blood sugar levels. With stevia containing no calories, it therefore offers a benefit to weight loss compared to other sugar alternatives. Also, research shows that Stevia is very useful in hypertension treatment and management as it is evidenced to have some inflammatory properties. On the other hand, Aspartame has many health concerns. It is evidenced that in eating energy (calories) food, the human brain will release the dopamine hormone making one feel pleasure. This in turn stimulates release of the leptin hormone, which tends to inform the brain you are full. When one eats Aspartame with no or little energy, the pleasure hormones will be released. But there is nothing to stop this feeling. Therefore, you’re at risk of ending up overeating to satisfy the pleasure need. This results to increase in obesity risks and resistance to insulin. 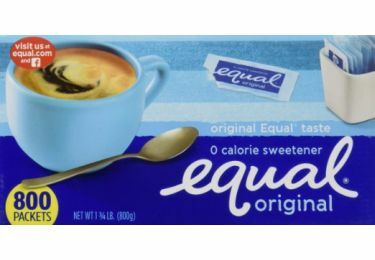 It is with this claim that FDA has endorsed strict aspartame safety regulations. One is required to consume specified and prescribe amount of aspartame to avoid this health risk, unless you are suffering from PKU syndrome.